People’s Dental is staffed with a number of very qualified dental professionals chosen strategically for their specific skills and qualifications. These factors make it possible for our practice to provide an impressive list of services and procedures to meet your budget and goals. From dental exams and cleanings to sealants, we offer an extensive selection of general dentistry services..
To help you meet your aesthetic goals, we offer cosmetic dentistry procedures..
We offer a variety of services to help you restore and rejuvenate your smile. .
Our periodontal dentistry services help you to achieve optimal dental health..
For complicated dental conditions, we offer highly advanced dental procedures..
To straighten and align your healthy teeth without resulting to traditional braces, give Invisalign a try..
Our state-of-the-art facility is equipped with top-of-the-line, advanced technology to ensure our ability to provide exemplary care to each of our patients. 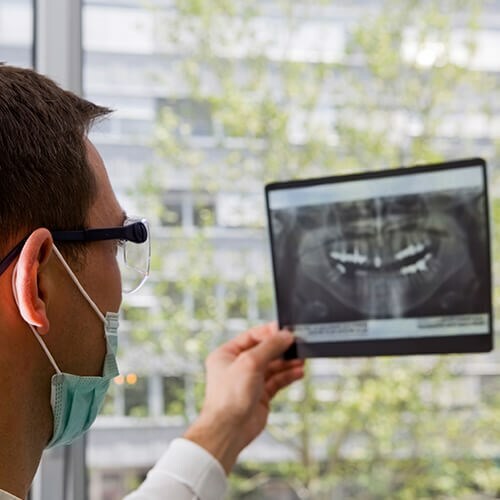 By utilizing VECTRA 3D imaging, digital x-rays, and intraoral cameras, we are better able to diagnose and treat existing or potential oral health issues in a time efficient manner. Our skilled staff at People’s Dental is committed to providing superior care from within our premier facility. As the leaders of the People’s Dental team, dentists Drs. 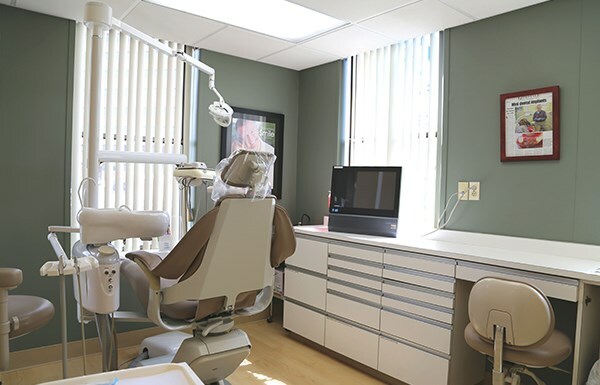 Hirsh, Soares, and Lin are highly qualified and experienced to offer a vast variety of dental care services to the greater Springfield, MA area. With a strong focus on patient education, our dentists believe that each patient is in control of their future dental health. The People’s Dental staff and team, led by these three talented professionals, is equipped and confident in their ability to provide exemplary care to patients of all ages. "It is very professional ,they are right on time with appointments"
"Their very kind nd polite. I like the appt reminders.. and my dentist' she is truly amazing nd very good at what she does. Ty"
"Odessa she is very thorough in cleaning and gives u a Bling shine and smile ??!!! Odessa's we love her personality! But what is more important to us is that she is thorough in what she does and very meticulous when she is cleaning your teeth. Our whole family sees her for our cleaning. Dr. Soares is very thorough also, will let you know how Dr. Soares is at fillings in a couple of months. The receptionists are very welcoming too. very happy with Peoples Dental Thank you ?? we give them 5 stars ??????????" "Always a great experience. Not only for me but for my family as well. 5 stars isn't enough. 11/10. Staff is consistent and always pleasant and personable. Place is immaculate and professionalism is always on point.... and my teeth look the best they have in a while too." "I am so thankful for Dr. Hirsh , he is what every dentist should be. He is kind, professional, and knowledgable. Like alot of people, I didnt like dentists, but, this guy and his staff are remarkable. I feel comfortable and trusting with them which is a feat of magic for me. I am forever grateful for the work they have done and I am going back for more. Your smile is the first thing they see when you meet people and now I can smile again. Incase your curious.. I have had implants and bridges done and they are perfect! Thankyou to Dr. Hirsh and the whole office there for my smile???" View our videos to capture the impact of our cosmetic dentistry services. Visit the People's Dental procedure library to learn more about our advanced dental techniques and treatments. Peruse through a collection of patient reviews and feel confident about your decision to trust People’s Dental. Meet each member of our People’s Dental team to learn more about our dedication to providing quality dental care.